I had 15 minutes spare time in front of me before I was going to meet this fellow CEO that I had been chasing for over 2 months now, and to be honest with you I was quite proud of being on time after the rocking end of afternoon I had. 1 ½ hour before her departure time, J. called me on my mobile. When someone calls you at a check-in counter it usually not a good sign. I immediately though about a missing in action passport or even worse a broke-in suitcase, but in reality it was worse than that. She was missing her Noise Cancellation Headset and I knew at the sound of her voice that she was considering canceling her trip on the spot if she could not perform her noise cancellation concert during her oversea 30 hours trip. Being unemployed has a lot of disadvantages, but certainly the best and maybe only advantage is the ability to manage your schedule the way you want without thinking twice. After a quick check on the time, I sized up the opportunity to dress up my old white knight armor, save the girl and score some serious brownies points. I decided to jump in a cab to the airport. I chit-chatted all the way with the cab driver but I was only really focus on the clock in this Friday afternoon prime time, on the unique road for a quiet weekend for thousand of people. I knew that the success of my job was just a question of minute and every second counted. 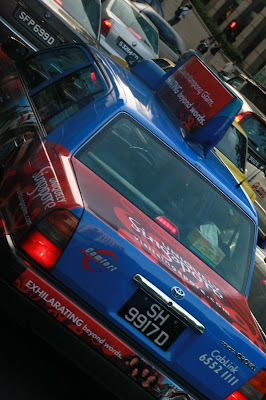 The less I distracted the cab driver, the faster he could drive to Changi. So I did not for once entertain the discussion. I finally saw her standing at the Terminal 3, Gate 4, with her suitcase and happy smile. I through the headset from the taxi window and watched my girl running to her plane. I knew that her DJ look will help her to half sleep correctly for some part of the night. Mission accomplished! But my afternoon was not over yet. I had an interview to go to, and I was half certain that I could find where it was. I ask then J. to phone guide me to the exact address. It is quite crazy the thing you can do now with a phone, an internet connection, Google maps and a lost soul in a city. My subway ride to the interview was guided entirely by J. who, with her headset on, could now avoid any disturbance from her surrounding. I arrived at 5:45 PM at the “Ya Kun Kaya Toast” from Funan DigitaLife Mall, my coffee chat location, thanks to J. and her headset. 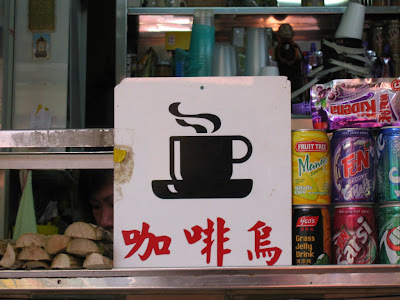 Ya Kun is a chain of air-conditioned Kopitiams (traditional breakfast and coffee shop found in Malaysia and Singapore). 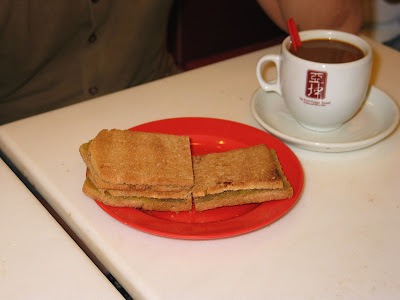 As the name suggests, it sells Kaya toast (butter toast), Singapore style coffee and tea, half boiled eggs and other beverages. I was proud of being 15 minutes, so I decided to take that time to do a quick expedition of this new discovered mall considered by certain as the second best mall for electronics after Sim Lim Square. Around 5:50 PM, I went back to the coffee place and investigate the menu just to avoid the discomfort of having to eat or drink something you choose under interviewer pressure. In my extremely intensive local market coffee research I came to the conclusion that each time I eat or drink the famous “I’ll-the-same” I ended up having a hard time to focus on my interviewer answers. Few persons realized the tremendous risk that your humble Blogger has to take each time I meet with an unknown human being when I try to coffee-reach-out and handle the crap that they all drink. My stomach is getting better everyday, but I did not want to spoil my evening drinking later on. The menu was for once in English and was well classified with coffee on one side and bizarre stuff on the other. After a quick investigation of the difference between O-Coffee (concentrate milk and sugar) and C-Coffee (sugar only), I was all setup for my interview. I could remember his first name, his company name, knew a bit his market, and most importantly knew all the competitors (3 in Singapore). I was so ready. At 6:00 PM sharp I decided to stand up and with my white head above the crowd I was not unmistakable, I was sure to be disrupted by a hand, a smile of an eye contact and start a vibrant and solid conversation. My day was rocking after all. After 15 minutes of intense and constant crowd checking, a small guy with a uniform came to me. - “Why are you looking like this?” he said. He did not introduce himself, but his strange uniform color matching the coffee ad campaign behind him did not leave any room for surprises. I quickly guess that the tag name on his shirt was not a new tactic to approach shy girls, but rather was the coffee company policy. The entire staff was looking at me, and was backing up his brave shift manager, so I decided to justify myself with the simplest lame line possible that came to my mind at that time. - “I am waiting for someone”, I heard myself said loudly. My justification seem to have pleased him and the ninjas behind him, since they all went back to they usual task of people watching for a living, and occasionally serving them with alphabetic coffee. I decided that I had to hold another more discrete position, and my special force training came in handy for once. I move out and I decided to seat close to the only pillar that was in the region, forcing myself to stare at the main entrance rather than the coffee chop counter. I realized then that I was previously standing next to the toilet door, and I am strongly suspecting now that my over focus look and strange appearance (taller & handsome) were sending the wrong signals to the Kopitiam police staff department (although called staff manager). On one of my night cab ride home, the very courageous extraverted driver tough me once the open and encouraged delator practices in the city-state, and I am delighted that sergeant Kopitiam decided to address the issue directly rather than calling the police instead. Around 5:30 PM, I decided to order one of these alphabet coffees and a plate of Kaya Toast. I started to feel abandoned and the 3 phone calls I had made in the past half an hour to my interviewer voice mail did not encourage me too much either. After all if I had to miss a supposedly exiting conversation, I would not miss the best Kaya Toast in the city since 1944. It was not the first time that someone asked for a late Friday coffee chat and did not show up. Among all the most impressive stories I had during my job hunt, illusionists are in the top 5. I remember for example this guy from Connected Group Limited, an executive search firm, who asked me to come over and he was not there yet supposedly but should be there in a minute or so. His assistant did the interview instead. What was his name already? Marcus something ... Ah yes! His name was Marcus Lai. I remember leaving the place and over hearing that Marcus was playing golf in Bintan the entire day and it was strange that he asked someone to come over for a meeting at that strange time. It seems that time has a different meaning in Singapore than where I am from. Cultural difference I assume. At least today, I had to try the Kaya toast and C-Coffee. I was trying to drink my too sugary brown coffee, and swallow the buttery toast, when I started to do what I became a master at these days: daydreaming. I was trying to remember the conversation that I just had with the taxi driver, but could not really remember exactly what was the topic or how did it arrive on the lack of professionalism in his corporation. I did not know that actually young driver where competing on what kind of journey they were having during the day. He later on explained me his daytime routine, what he was doing outside work, and his difficulty in training young drivers who do not want to listen to his teaching. He followed with a basic description of the aging population in cab driving industry, and argued that older generation consider cab driving a hobby and do not care too much of the client or service, they just enjoying the ride. - “If you want to teach him a lesson” in reference to the bad cab driver, “call the cab company, but if you want to punish him ask for a receipt and then call the Land Transport Authority (1800-225 5582) to complain. He will have his license removed” he laughed. I forgot we were in Singapore and such a thing can happen. I should have asked him if he knew the phone number of the Show-Your-Face-At-A-Meeting-You-Called Authority, but I forget. I was on ride to save my girl.